Don't Miss Out On The WordGraph Year End Sale! Don’t Miss Out On The WordGraph Year End Sale! 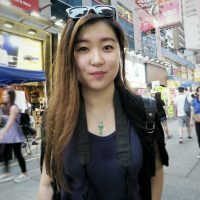 SEOPressor / Blog / Don’t Miss Out On The WordGraph Year End Sale! Announcing The Start Of WordGraph’s 2018 Year End Deals! Who says optimizing your websites to rank high has to cost a bomb? The real question is, how are you going to get to the number 1 spot? 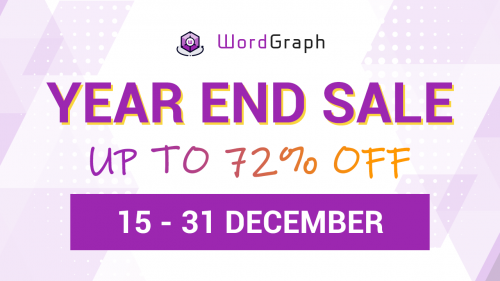 The year is coming to an end, but the savings are just beginning at WordGraph.io! With 2019 just around the corner, the awesome team from WordGraph has decided to give back to you with the best deals from their first yet biggest year-end promotion yet! They’ll teach you how to save big on your year-end budget without compromising on your precious time! If you’ve already started dreaming of achieving major success on your website (ranks, traffic, conversions) in the following year, read on as they will reveal how to do so without breaking the bank. Even if you’ve got everything planned out in the following year, they have a few tricks up their sleeves to make your content marketing that much more rewarding! Don’t you want to rank #1 on the search engine result page? All these can be achieved only and only if you managed to grab the #1 spot on Google of your targeted keywords. 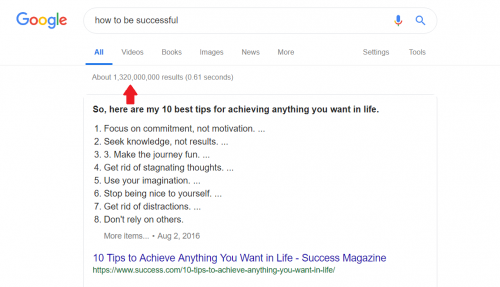 Try typing “How To Be Successful” into Google. How many results came up? Type in your targeted keywords and see for yourself! Over 1 billion! That’s actually a lot for one simple query, right?. And how many results will be presented in the first page? Only ten. That means you have to fight your way up among the billions of other results. And you cannot afford to not do that. Now imagine that you are a plumbing business owner. Search for “Plumbing services in Chicago”. There lies millions of results! 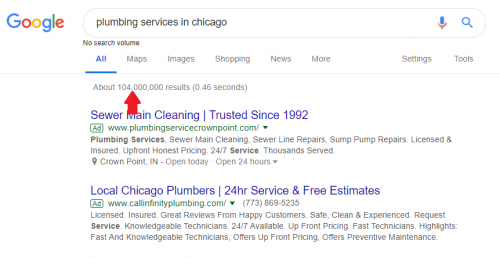 While there are more than a million searches for the same query, how sure are you that you’ll see your business appear on the first page? All these users are searching for plumbing services to solve their problems at the very moment they start doing the searches. And this is what we called ‘opportunity’ in your business. These people are willing to give out money to you once they see a relevant service that can solve their plumbing issues. But the real question is: Are these solution seekers able to see your business in the top 10 results? …but still to no avail. Does this sound familiar to you? Worry no more as WordGraph is here to save the day! (Both saving your money and saving the current status of your website). As an organization who values their users highly, they understand your needs and present you a one-stop solution to your worry. They promise to give nothing but the best to you. WordGraph is an intelligent Word Vector Tool designed for you to analyze and compare you against top 10 ranking, by telling you what keywords to use. They show you the best content gap analysis and keyword composition to rank your site higher. It is designed to tackle the exact search matching for the closest words around the user’s specific seed keyword. What’s more impressive about WordGraph is that it’s powered by the Word Vector Technology based on Artificial Intelligence. It identifies the keyword composition the Top 10 ranking websites are using, and suggest a list of keywords you can use in your content based on high & low priority, making the website optimization process effortless. Besides that, you can almost instantly uncover your competitor’s keywords and see what makes them rank in the first place too! With this crucial piece of information, you’re basically scraping your competitors’ keyword research and planning effort to use it as your own. You can be sure it is going to work because they are analyzed from those already in the Top 10 Ranking on SERP. No matter what type of marketing goals you have, WordGraph can help you reach them. Does Word Vector Help in SEO? I’m not sure if you’ve noticed but I’ve mentioned Word Vector twice in the paragraph above. For those of you who were attentive enough, I thought it’s best if we explain to you what Word Vector is and its importance here. Now, Word Vector is an AI model pre-trained by Google. It has established itself as an integral part of the Natural Language Processing models. The primary usage of a Word Vector is to grasp something about what they mean by how they relate to each other. It may be weird when you think about it, but Word Vector helps us solve very sophisticated tasks in Natual Language Processing. based on examples of actual language usage. With Word Vector came Word2Vec, a toolkit developed by Thomas Mikolov in 2013 at Google that enables the training and use of pre-trained vectors. What you see below is Word2vec explained in a simple infographic. Us humans might be able to understand it perfectly, but these are a bunch of complex information for computers who can only communicate through ones and zeros. Then, how do they encode information about how a king and queen are related? How do they determine the difference between a normal or royal couple? And how do the machines understand the commanility of certain phrases? Yes, through Natural Language Processing. And thereby, Word Vectors come into place. 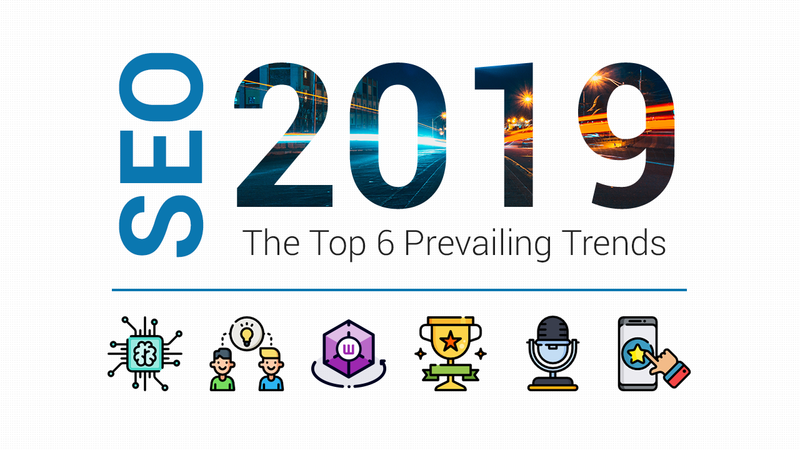 Now, if you’re attentive towards the SEO industry, you’ll notice that many SEO specialists and leading marketers have sparked opinions that using Word Vectors may determine the ranking of a website. That is to say, Google has since started using multiple AI-driven techniques to rank search results till this date. Trust me, this won’t be the end about Word Vector and Artificial Intelligence in the SEO space. More to come in 2019! Whether you own a big conglomerate or a small business looking to generate buzz, at WordGraph, they offer everyone their world-class services that are proven, proficient and priced right. Discount up to 72% off! So what are you waiting for? Grab this golden opportunity that only comes knocking on your door once! 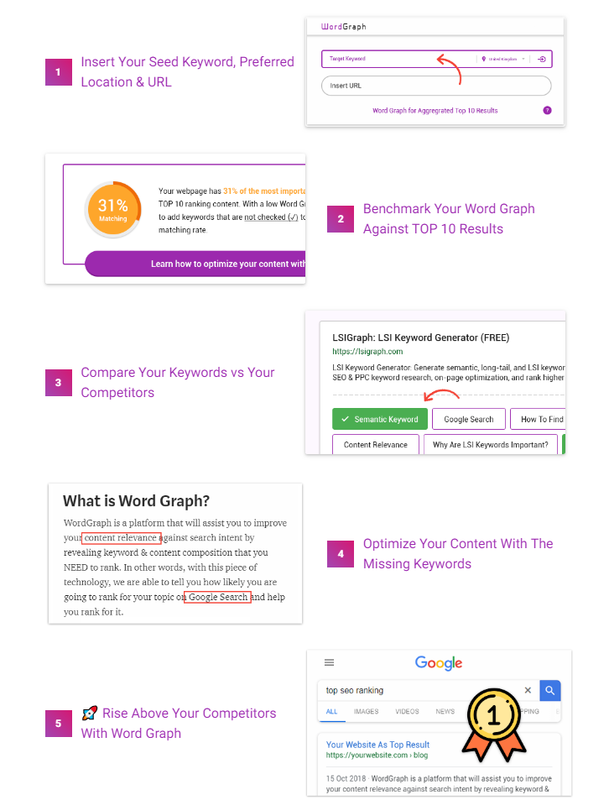 WordGraph is offering the best price of the year to get you to rank high on Google! Remember, good things don’t last long so purchase now!